Located on the slopes of a dormant volcano Mt Gambier with a population of around 30,000 people is one of the biggest cities we have been in for a while. Set amid an ancient landscape of volcanic craters, lakes, caves, sinkholes and mysterious underground waterways. 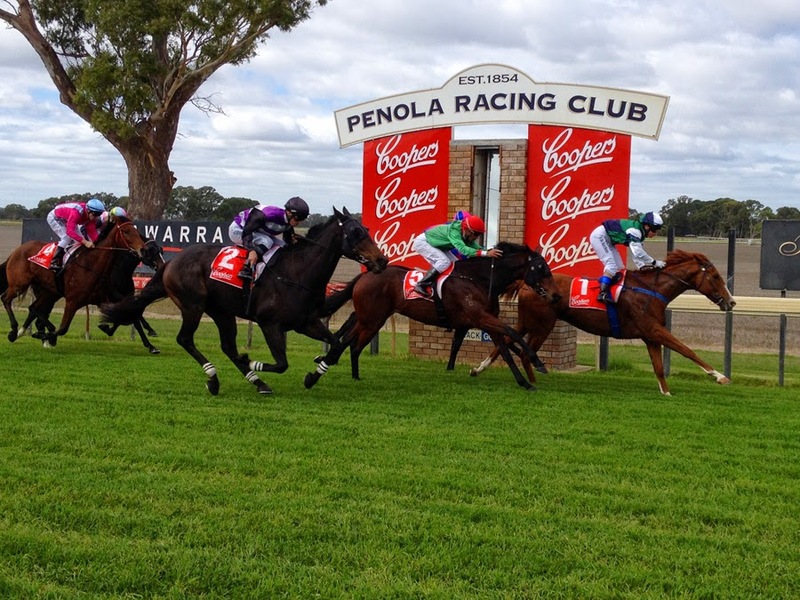 But yesterday we headed out of town to a tiny town called Penola for their annual Penola Cup. I don't usually enjoy going to the races, they are just not my thing. But this country race meeting was not just about the horse racing. Being Easter Sunday it was geared mostly as a family day and had a great atmosphere. I did have a couple of bets but did no good. Today we did a bit of exploring of the Mt Gambier area. 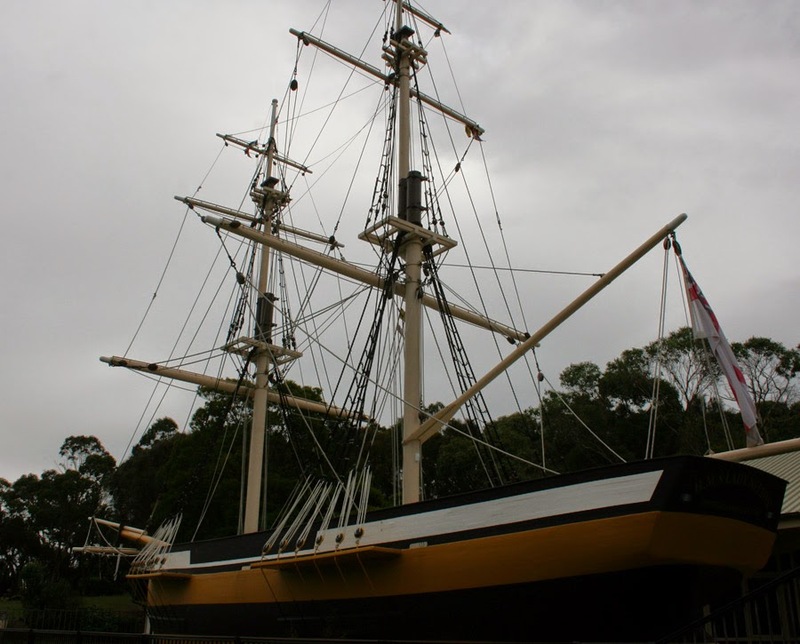 First stop was the "Lady Nelson Discovery Centre". This centre gives you a glimpse into days gone by in this area. Then is was off to the "Cave Garden" sinkhole. How do sinkholes form I hear you ask? As water sinks through to the limestone beds below the surface, it slowly dissolves the rocks to form caves and caverns. 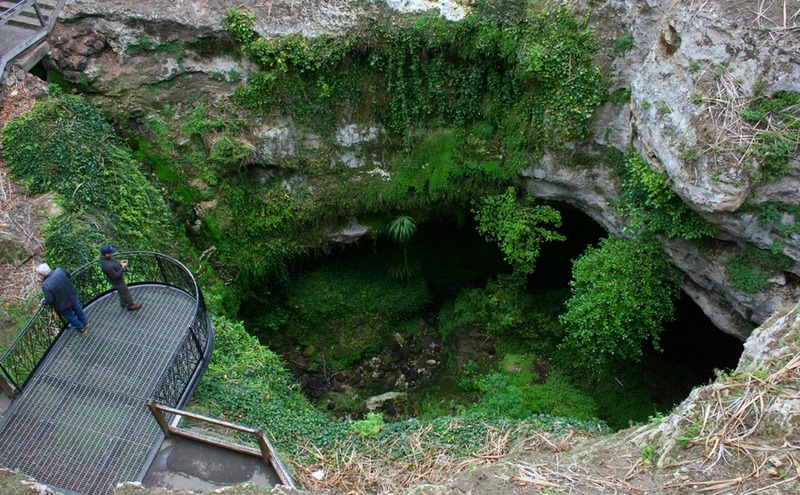 The round sinkholes form when the limestone roof above the water filled cavern collapses, exposing the underground water. Because the water table has lowered over the hundreds of years most of the sinkholes are now dry. This sinkhole was the original water source for the early settlers. Then we headed to Mt Gambier's most well known attraction the "Blue Lake". Each year in November the lake starts its colour change from winter steel blue to brilliant turquoise blue and then in March changes back to steel blue. Unfortunately we are here in April so we have missed the turquoise blue. With average depths of 70 metres, the lake contains 36,000 million litres. It is the current source of water to the Mt Gambier. We then decided to go for a drive to Port McDonnell. 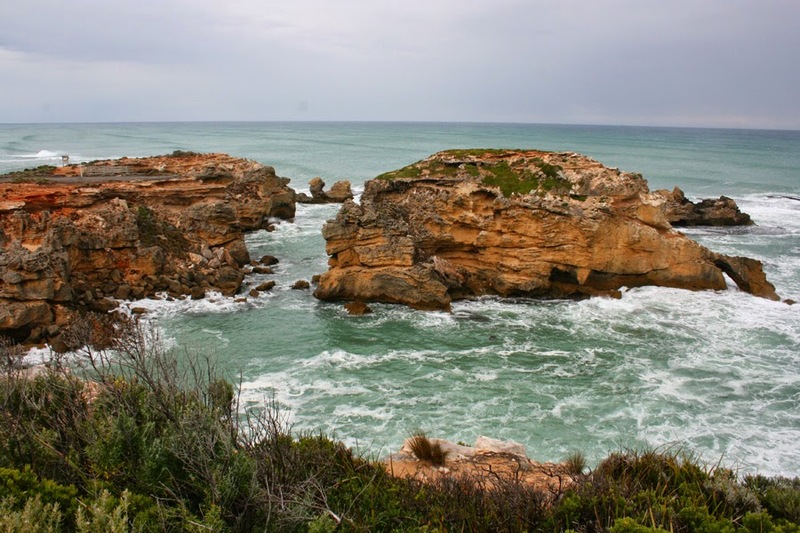 This picturesque township, once a busy port, is now "Australia's Southern Rock Lobster Capital". If only I could afford to buy one - they sell for between $80 - $90 per kilo!! 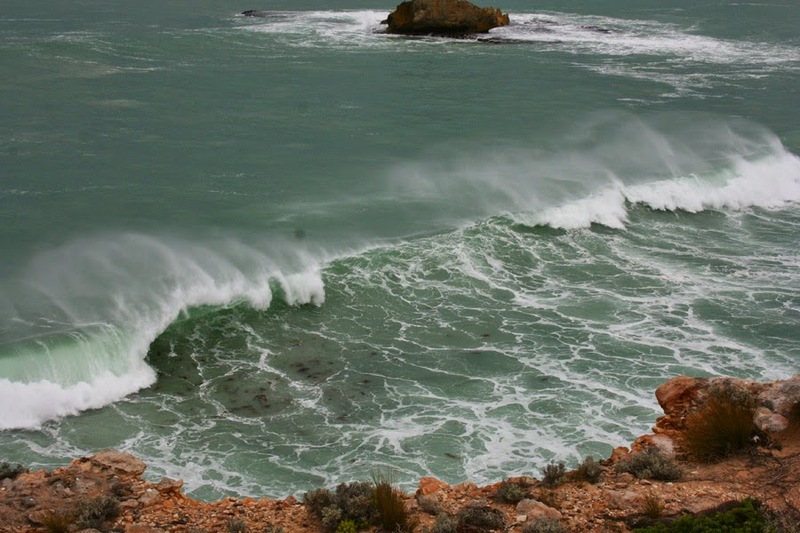 The coastline along this area is once again beautiful but really treacherous. On a plaque located on one of the lookouts 35 ship wrecks were listed.